This ninja Nicholas Stroud who has been a Juggalo his entire life has written a fictional eBook about a rookie wrestler starting out in the indies titled “Between The Ropes The Starts of A Dream.” Most Juggalos love wrestling so it’s no surprise we get a story from one! This book follows the rookie year of a wrestler in the ACW one of the four companies that make up the IWC. 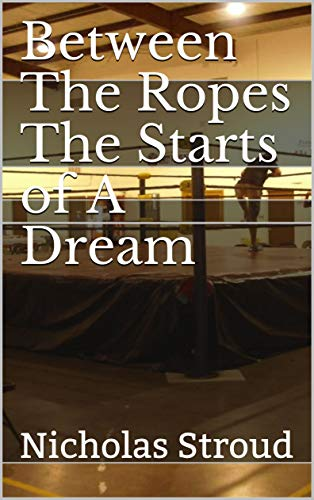 It is a story about Jessie Starrz and his trials and tribulations facing him as a young man mixed into the wild world of wrestling. Dealing with being a first overall draft pick and the way it affects his life and his friends and family. You can bust out the ol’ Kindle and order yourself the book on Amazon.com right now by CLICKING HERE. If you’re unsure you can also read the first three chapters of the book for free by clicking the cover art on that link.